Contact the chancellor’s office to place a speaking request. The Office of the Chancellor does not consider requests placed less than three weeks before a scheduled event. Once the office has confirmed his participation, fill out the remarks request form. 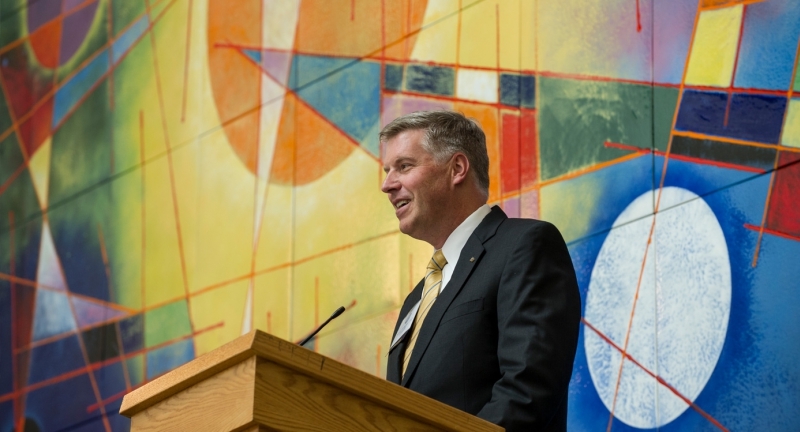 I would like to introduce the University of Pittsburgh’s 18th chancellor, Pat Gallagher. 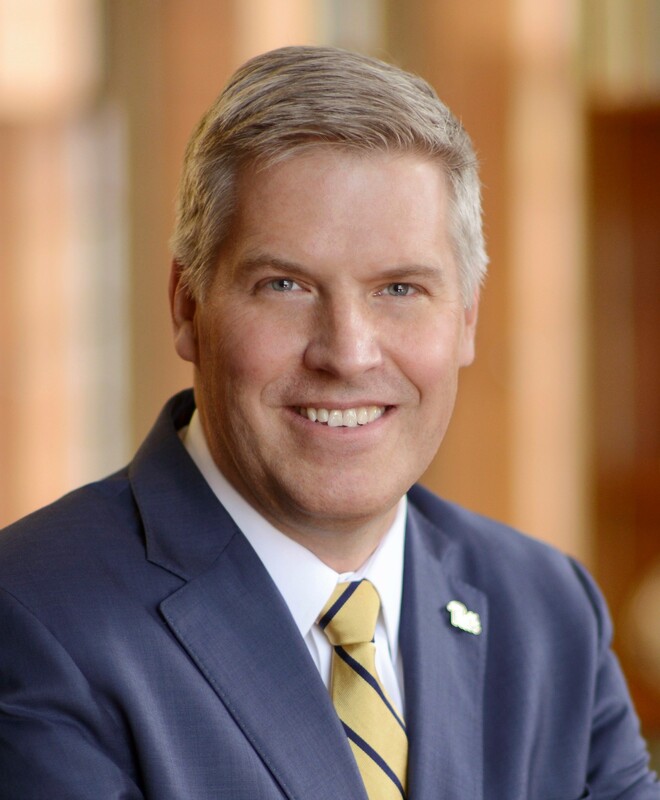 He oversees a community of more than 34,000 students and 13,000 faculty and staff members across five distinct campuses, all working to advance Pitt’s mission to make the world a better place through knowledge, learning and scholarship. Chancellor Gallagher holds a bachelor’s degree in physics and philosophy from Benedictine College in Kansas and a PhD in physics from Pitt. Visit the chancellor's office page to locate a staff member or use the team's convenient fill-in form.